Q: What is the cost of a class? 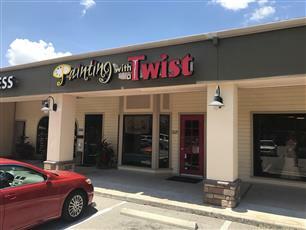 A: Our 2-hour paintings are $35.00 and our 3-hour paintings are $45.00. We also offer some 1.5 hour kids classes for $25. A: The calendar is posted on or around the 1st of the preceding month. A: Yes. We provide hair dryers to help dry them quickly. A: Please arrive 10-15 minutes early to check-in and get settled before class begins. A: Yes. You must register online or secure a seat over the phone with a credit card. If we have a no show/no cancellation, the credit card that holds the reservation will be charged. Q: Other than paint supplies, what do you provide? A: We provide clear plastic cups and corkscrews. Q: Can we bring food and beverages? A: You are welcome to bring anything you’d like to eat and drink with no restrictions, although we recommend simple "finger foods" so that you can snack while you paint. A: Wear something comfortable. We provide aprons, but keep in mind that paint may still find its way to your clothing. A: We have a 24-hour cancellation policy for 1-2 seats and 72-hours for 3 or more seats. With sufficient notice of cancellation, we will offer store credit which can be redeemed for any future class. No store credits will be issued for insufficient notice, no exceptions. A: Yes, please refer to our Party Info tab. Q: What size is the canvas and what kind of paint do you use? A: Our canvasses are 16 x 20 and we use acrylic paints. A: Yes, the minimum age for our regularly scheduled classes is 15 years old. Please note you must be 21 years old to consume alcoholic beverages. A: Yes. 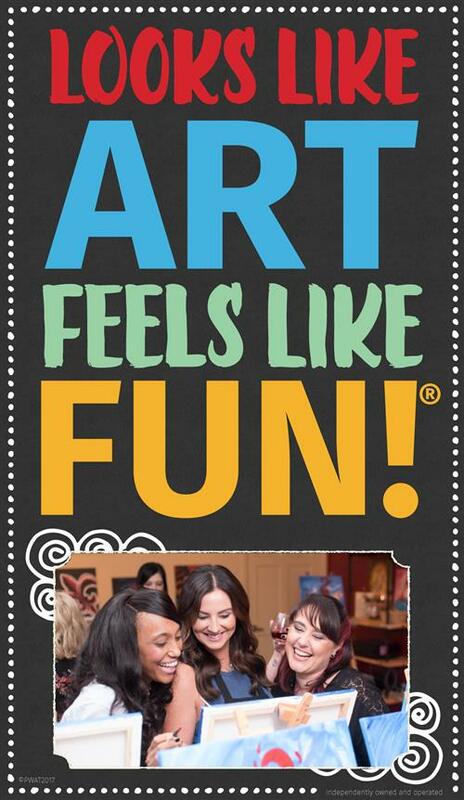 We offer fun "Family" or "Kids" classes that are open to all ages. Most are offered on Saturday mornings and various other times when school is out. Private parties may also be reserved for our younger painters. Adult supervision is always required.